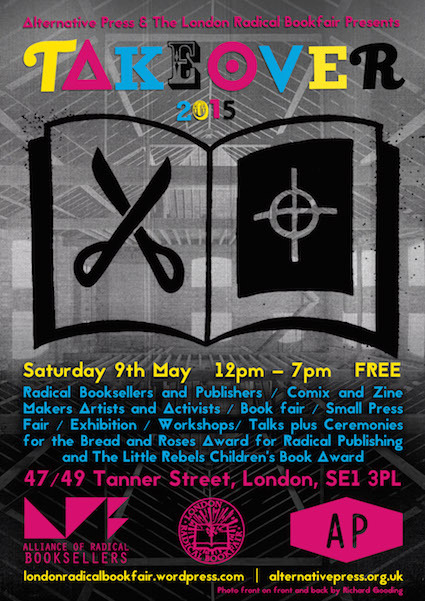 Verso Books are excited to be taking part in TAKEOVER 2015, a collaboration between Alternative Press and London Radical Bookfair, for 'a day that champions all radical publishing - from its independent bookshops and publishers to its DIY-ers; the small press, self-publishers, and zinesters'. This will take place on Saturday 9th May from 12am – 7pm at 47/49 Tanner Street, London SE1 3PL. To find out more about the great exhibitions, workshops, and talks taking place on the day see here!